Take a look at the six finalists for Lawn & Garden Retailer’s 2018 Merchandiser of the Year. Each year our Merchandiser of the Year competition recognizes one independent garden center whose team has really showcased their display skills during the year. The competition continues to grow, having a record-setting number of entries again in 2018. A panel of judges is reviewing the following six finalists to determine who will become the 2018 Merchandiser of the Year. In the meantime, take one final look for yourself at the impressive front runners, in no particular order. The team at Sollecito Landscaping Nursery wanted to feature a rotation of higher- end plants including Proven Winners, White Flower Farms, Knockout Roses, Pink Ribbon Plants and the Endless Summer Series, all purchased from Prides Corner Farms. The goal was to do this while showing the connection between past and present in the landscape. The entire retail staff wanted to be involved in both design layout and physical setup. They re-used elements someone else might not find useful and included newer cultivars of select healthy flowering ornamentals. This all tied together in a whimsical, colorful and inspirational fashion. Retail sales manager Elizabeth Mulrooney did a mock-up of how the flow would be created and selected each plant individually. Months ago, design department leader Elise Robinson started painting old tools, chairs and, of course, its signature used and repurposed bicycles. Receptionist Bethany Putzer and retail sales associate Ellen Sorber split time as the chair model. As evidenced by the photographs, it was exhausting work. Co-owner Megan Sollecito scheduled a garden club tour as well as a teacher retirement party at the time when this display was completed, and her husband and co-owner Jim put together a fundraiser for the local NPR station affiliate, an evening garden party. Over 200 event attendees enjoyed this eye-catching display. Customers loved this so much they took selfies in it for their Facebook pages. This was the exact result they hoped for. They have it intact to remind people that summer is for planting too, switching out plants as they are sold. Playing on the “jungalow” theme trending on social media, Wilson Nurseries’ merchandising team transformed a space inside the garden shop to reflect this plant-lifestyle look. The intent was for customers to see the plants inside the shop and be intrigued enough to venture into the greenhouses for an expanded shopping experience. 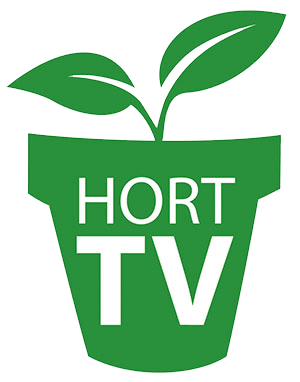 Their houseplant category has grown tremendously over the past few years. Traditional plant favorites are becoming mainstream again. What better time for Wilson Nurseries to own this trend and press green themes, pumping up sales even more? For spring, they created a room-within-a-room concept by covering the wall with re-purposed and distressed wood panels. Posts created structure for what was first a front porch look, meant to inspire early spring customers. To create the jungalow theme, curtains and Edison lights were added, creating a warm, outdoorsy feel. Wooden shelves were built on the back wall and interior and exterior furniture designs married for an element of surprise. A green vintage chest, along with an existing farm table and some jungalow-style furniture from a nearby Louisville wholesale supplier helped pull the look together. Green was chosen as the predominant color for the eclectic display and a variety of pots, perfectly styled with the right plants, and back- from-the-70s, macramé hangers, drew the eye up into the aerial space. Additional plant tie-in sale items, along with glass terrariums and vases with single stem palm leaf cuttings, added finishing touches and demonstrated everyday use. Within the space, vignettes were created of single types of plants including tillandsia, succulents, orchids, palms, bromeliads, ferns and foliage. Each was accompanied by a minimalist sign, highlighting the plant family and providing botanical information or a growing tip. Books consistent with the merchandising style provided focal points and color and helped educate and keep customers buying books from the store, not just online. Because customers are drawn to the area and the structure functions so well, Wilson Nurseries will transform it again and again — into a summer picnic, autumn and holiday theme, with plants remaining the predominant element — to keep it green. 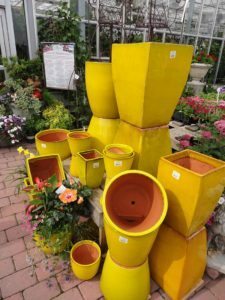 As spring passes each year, Lurvey Home & Garden turns its attention to celebrating summer at the garden center. Lurvey has been providing landscape and garden products to landscape contractors and homeowners since the late 70s. One of their slogans is “Embrace Your Space, Improve Your Life!” For them it is important for people to enjoy their space with friends and family. Be it an estate property or a small balcony, a space is a space for someone to enjoy. In the summer of 2015, Lurvey improved its own space and demolished the existing house and greenhouse that was the garden center to build a new state-of-the-art home and garden center. This building has allowed them to create a destination and expand product selection. The front entry vestibule has become a space to showcase products from many departments in a vignette setting. It allows team members from different departments to collaborate and cross merchandise their products while giving customers the inspiration to create a space of their own. This display is titled “Embracing Your Summertime Space.” The highlight of the display is a hanging daybed. The daybed is handcrafted by artisans from the “cottage” industry of Indonesia. Complementing the day bed is an airy white linen canopy with a lovely rustic bronze finished chandelier, an array of tropical plants with different textures and leaf colors, an outdoor rug, brightly colored pillows, lanterns with candles and a serving set, which makes this the perfect place for an afternoon snooze while enjoying your favorite summertime beverage. The feedback from customers has been fantastic, many come in several times a month to see what has been done with the displays or what new products have arrived since their last visit. Scots Landscape put together a series of colorful displays this year to connect departments throughout the store. The “Get Your Garden On” chalkboard display was positioned at the garden center’s main entrance and was designed and created by visual merchandiser and buyer Jessie Towner. As one of the first things customers saw as they entered the colorful area, the eye-catching, 3-D design helped set the stage and kickoff the 2018 spring and summer season with creative chalk art and garden center items. The fairy garden display was located inside the garden center. Cute, colorful and quirky fairy garden statuary products were displayed with a hand-painted, custom- built, retro camper façade serving as a backdrop. To complete the vignette, the floor of the display area and stepped display shelving were covered in synthetic grass. The large display was also home to many smaller fairy garden vignettes nestled throughout the colorful products. The unique display was also designed and created by Towner and was extremely popular with customers of all ages. The garden pot display was a large garden center area that commanded attention through the use of color. Modern, colorful planters were displayed by design and color division as well. The display also featured an inviting seating area. This past winter Distinctive Gardens built out its spring’s Shop Story theme, “Create,” and they learned something along the way. When you pay attention to how customers use a space, not how we think they should, and act, good things happen. Understanding their “why” provides valuable clues to remaining relevant. One display was a new station called, “U-Create.” Its purpose was to provide a fun and easy way to personalize succulent gifts. The interactive area presented a selection of succulent containers. It included a selection of decorative containers from which customers could choose. An assortment of gift bags, tags, stickers and items to decorate the bag were part of the display. They envisioned busy people looking for a cool and personalized gift would use the space. The display is the first thing you see upon entering the shop. It’s positioned against a tall wall inside the 100+ year-old barn turned plant shop. They supported the concept by offering an online version of the experience. Customers could shop online for either pickup or local delivery. They rolled out the concept via blog, e-news and social media at the end of April. In one video, co-owner Bud LeFevre talked about the display and how to use it. Reactions on that Facebook post were more robust than normal. This tipped them off to the “who” and “how” they envisioned was a bit different than their customers. They saw “fun, quick, creative, convenient.” They saw “kid station to make awesome Mother’s Day gifts.” They caught that clue, and they set to preparing a temporary “U-Create 2” for kids out in the first greenhouse. They kept customers informed on what they were doing with a couple of Facebook photo and video posts. Come Mother’s Day weekend they were thankful they caught that customer clue and acted. Turns out this was a family magnet Mother’s Day week. As a result, they saw an increase in the entire succulent category. Individual succulent plant sales rose 43 percent. Succulent containers rose 69 percent. A straight comparison of 4-inch succulent containers, the size used in the “U-Create” station, rose by 80 percent. Abby is the managing editor of Lawn & Garden Retailer. Contact her at [email protected]sh.com.